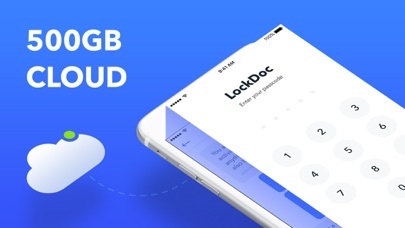 The best business ideas are under protection of LockDoc now. 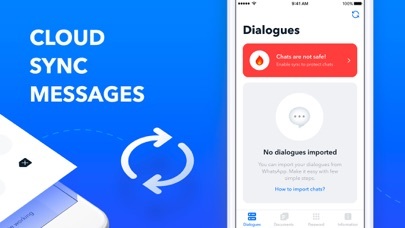 Keep safe all your files, photos and other documents by using this app. LockDoc works as a personal phone storage and helps you to lock everything you want with unique encryption methods. 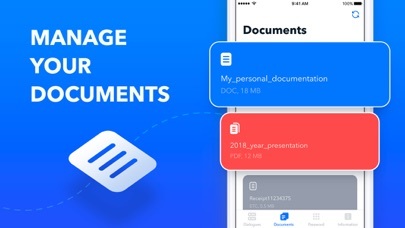 - SYNC all your files and documents with your personal cloud. It works with Dropbox, Google Drive, etc. - ENCODE photos, videos, files with current encryption methods. No one could get the access to your business data without your permission. - SAVE you phone space. Popular problem is solved: you can control the device’s memory using this app. - PROTECT your phone from being used by others. A personal unique password guarantees that only you can access the storage. - USE FOR PERSONAL & BUSINESS INFO. Save and protect all types of private and business files - documents, photos, videos, passwords and notes. The best way to keep safe ALL your documents and files. Synchronization, encryption and storage in one app will help any business to become smarter in protecting ideas and private information. Easy to use and quick. LockDoc doesn’t require specific knowledge: just log in and use it. All your business data will no longer be lost or erased. Secure synchronization with all your devices don’t allow you to lose important documents if your phone will accidentally be lost. It unlocks full access to all the functionality of the app including blocking ads, creating custom rules. Price of subscriptions are $5,99/week. Every 1 week your subscription renews.